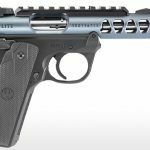 The Ruger Mark IV 22/45 Lite pistol now comes in an anodized diamond gray finish, bringing the total number of finishes to five. 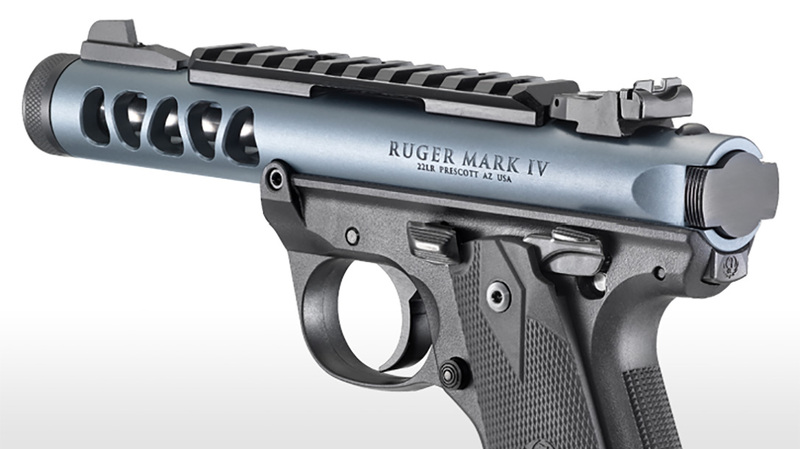 We’re big fans of the Ruger Mark IV around here—a simple, one-button takedown? What’s not to like? 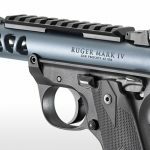 So when Ruger announces anything new in its Mark IV family, we naturally take note. That’s why we wanted to give you a heads up that the Mark IV 22/45 Lite pistol is now being offered in a new finish for 2018: diamond gray. 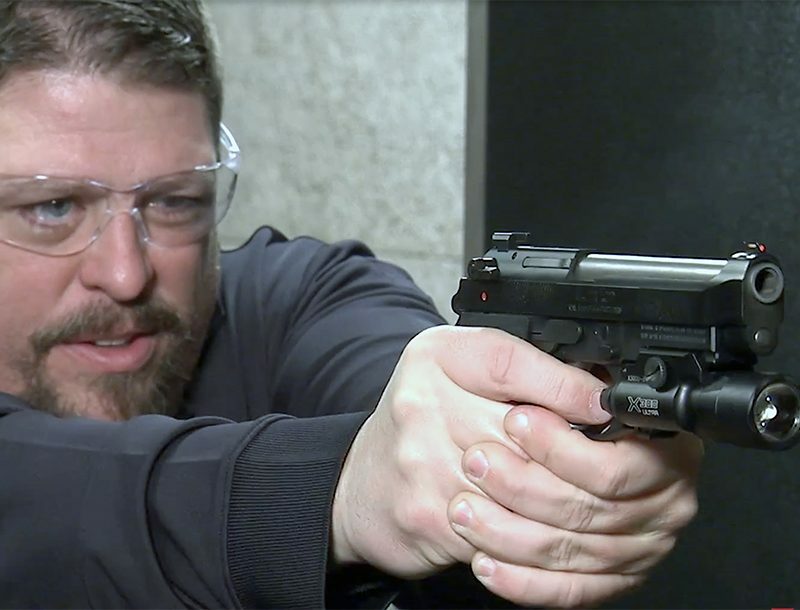 The pistol is already available in black, red, OD green and magenta. 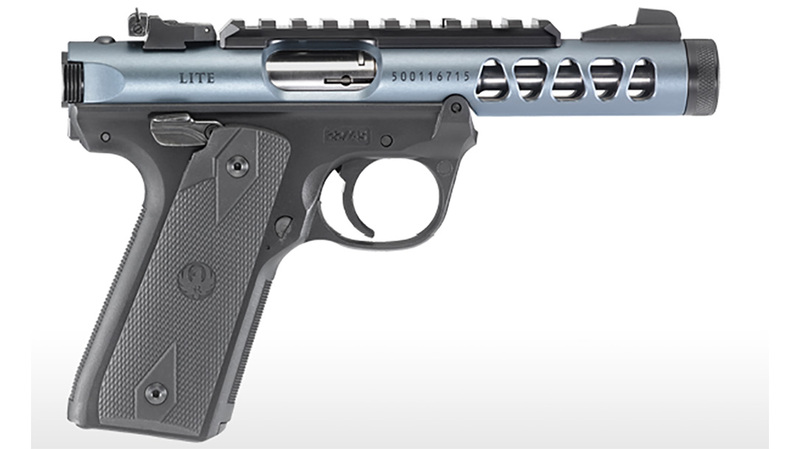 The Ruger Mark IV 22/45 Lite features a lightweight precision-molded, polymer grip frame. It also includes an aerospace-grade aluminum upper receiver. The receiver is now available in the aforementioned anodized diamond gray finish. 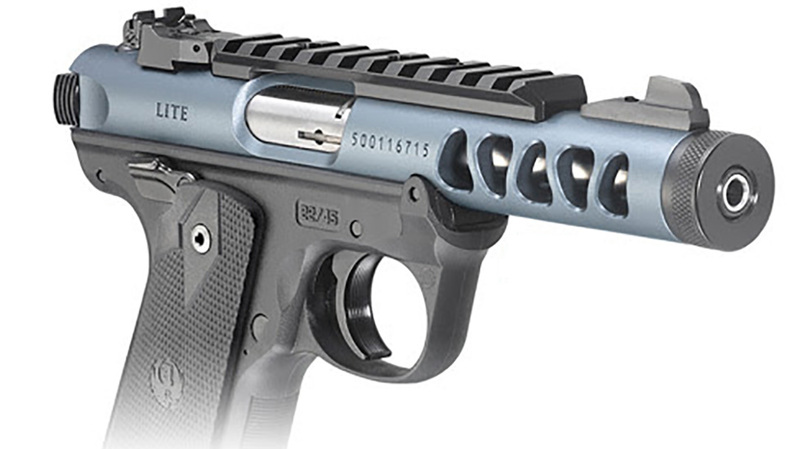 In addition, the receiver sports pattern-drilled vents, giving it a custom look at an affordable price. Chambered in .22 LR, the Ruger Mark IV 22/45 Lite has a 4.4-inch barrel; checkered 1911-style grip panels; adjustable rear sight; overall weight of 25 ounces; and an overall length of 8.4 inches. 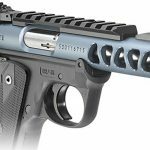 Furthermore, it boasts the one-button takedown we mentioned up top for easy field-stripping; contoured ejection port; factory-installed Picatinny rail; push-button magazine release; and an ambidextrous manual safety. This model is now also available with a non-threaded barrel. 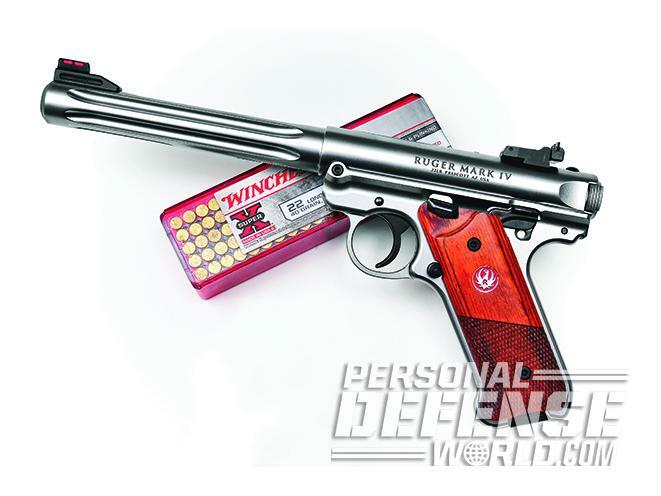 Shipping out with two 10-round magazine, the MSRP on the Ruger Mark IV 22/45 Lite is $559. Check out the specs below. For more, visit Ruger.com.